Minor burns on hands, fingers and skin are extremely common while we go on in our days. While most of these burns can be treated at home, some can be quite serious and life-threatening and need immediate medical attention. Minor burns, also known as first degree burns, damage only the epidermis or the top layer of the skin and cause redness, swelling and are quite painful. They are non-invasive in nature. Second degree burns have big blisters, are invasive, and more painful. Third degree burn has the white flesh exposed, has a leathery look and is the most serious of all. Healing time depends on the extent of the burn. Only first degree burns should be treated at home. To know what to put on a minor burn, it is always a good idea to keep in mind the cause of the burn. While an iron burn is quite harmless, in case of a steam burn, you should carefully check the burnt area to see if the flesh is showing because these being more serious, consulting the doctor is always a better idea. How to heal burns fast? 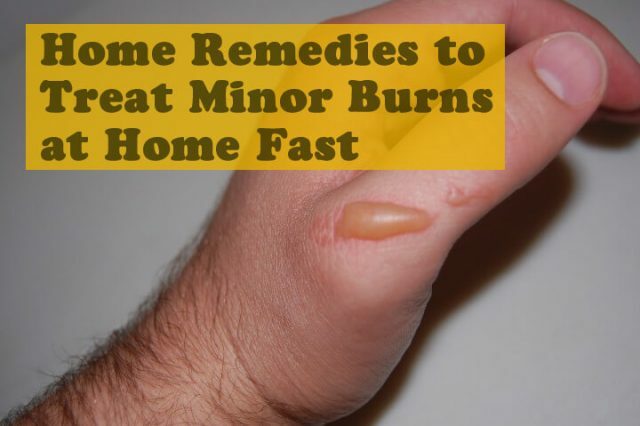 Here are some quick home remedies to help you with minor burn treatment. To stop a burn from hurting, you should immediately put the burnt area under the tap for around 20 minutes. Take care not to use cold water though. You can also wash the area with a mild soap and water. However, this procedure should only be limited to first degree burns. To get some relief from the pain and swelling, a cool compress is also a good idea. Put a cool compress or a piece of clean cotton cloth cooled with water over the area in 5-to-15 minutes’ intervals. Do not use very cold compresses as they may end up increasing the irritation. Aloe vera is famous for its astringent and anti-inflammatory properties and it is very good at soothing the skin and healing tissues. For burns, it reduces pain and swelling and repairs the damaged skin. It also helps in doing away with scars and the marks formed by them. Extract the gel from a freshly cut aloe vera leaf and apply it directly on the affected area. Massage it gently without hurting yourself. You can also use a cotton ball for this purpose. Let it seep into the skin. Do this several times a day as long as there is no perceptible relief. You can also add some turmeric powder to the gel. Turmeric is an ancient antibiotic and anti-inflammatory agent and the mixture can help you get rid of pain and swelling in no time. In case you don’t have an aloe vera plant around you, you can also use a cream which has aloe vera as the main ingredient. Potato is a natural soothing agent thanks to its anti-inflammatory properties and is great at reducing minor burn blisters. Put the potato in the refrigerator till it is chilled. Then grate it and apply it on the burn. Let it set in for 15-30 minutes before gently wiping it off your skin. Repeat the process as long as there is no relief. You can also use a slice instead of grated potato, but the slice should release the juices into the burn. Also, take care while rubbing the slice over the wound. You can also use chilled cucumber in place of potato. Honey has a very high sugar content, meaning it not only has antibacterial and anti-inflammatory properties, but it also draws out the excess fluids from the wound, aiding in fast healing. Honey is also good for the skin and helps in preventing scars from forming. To use it for your burn, apply some raw honey directly on the wound and spread it out evenly. Cover the area gently with a gauze bandage and let it remain for some time. 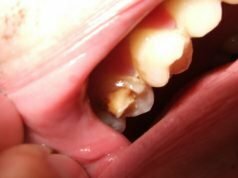 Replace the gauze 3-4 times a day. Keep the last two points in mind because honey also happens to be a favorite for flies and other tiny insects. Onion juice contains quercetin and sulphur compounds which help stop burn pain, aid in healing and prevent blister formation. But these properties are retained only in freshly cut onions, so use them accordingly. Apply the juice directly on the area and gently spread it out evenly. You can also use just a slice of a freshly cut onion as long as the juices seep in. There may be some stinging initially but that shouldn’t alarm you as it will eventually subside. Repeat this several times a day. Vinegar is a natural antiseptic and has astringent properties which not only soothe the pain but also prevent infections. Its high acetic acid content makes white vinegar especially suited for this, though apple cider vinegar too can be used. Because of that same acidic content though, it is always a good idea to use it in its diluted form. Dilute the vinegar with an equal amount of water. You can either rinse the burnt area with this solution or dab the area by soaking a cotton ball in it. Cover the area with a piece of cloth soaked in the solution and replace it every 3 hours. Repeat this as long as required. Black tea comes with tannic acid which helps in dissipating the heat from the wound, and thus acts as an anti-inflammatory agent and helps in soothing it. Steep 3-4 bags of black tea in a jar of warm water for a few minutes. After the solution cools down, soak a piece of clean cotton cloth in it. After removing the excess water, place the cloth on the burnt skin. Repeat this for a few times during the day. You can also put the wet tea bags directly on the wounds and cover them with gauze. To make it more effective, add 2 cups of fresh mint leaves with the tea bags. Mint has natural astringent properties and would help in soothing the area. Place them in 4 cups of boiling water and stir the concoction. Allow it to steep for around 15 minutes before straining, and then allow it to cool. Now, using a cotton ball dab the liquid on the burn wounds. Yogurt comes with a lot of fat which can be used in treating the burns. Plain yogurt is the best for this purpose. It produces a cooling effect and helps in pain relief. But apply it only after half an hour of sustaining the burn. Put the yogurt directly on the wound and leave it on for around 15-20 minutes. Then wash the area gently. Repeat this a few times a day as long as there is no relief. Like yogurt, milk is another natural ingredient with a high fat content. In addition to its easy availability, it is also rich in calcium, vitamins and antioxidants which make it great at helping you get rid of the pain. The protein in milk also acts as a natural healer. Non-fat milk too is good for this purpose as it has a special enzyme which is very good for burns. Soak the affected area in the milk for 15 minutes. In case that is not possible, soak a clean piece of cotton cloth in the milk and apply it on the burn wound. Let it remain for a few minutes. Repeat this every 3-4 hours. Clean the wound and the cloth with some soap and water after 24 hours. Mustard is a known analgesic, and while it may cause minor irritation upon initial application, it helps in reducing swelling, prevents blisters from forming, and heals burn scars. Just gently rub some mustard on the affected area and leave it on for an hour before washing it off with cold water. If you want to add the antibiotic properties of turmeric to make it more effective, mix a teaspoon of turmeric powder to 1 tablespoon of mustard oil. Apply this mixture on the burn and let it remain for half an hour. Wash it off gently with cold water. Plantain leaves have been used since ancient times in treating burns, and it is not surprising, considering its natural anti-inflammatory and antimicrobial properties. All you need to do is to make a fine paste by crushing a few leaves. Apply the paste over the affected area and cover it with a poultice made of clean cotton cloth. Once the plantain leaf paste dries out, remove the poultice and repeat the procedure. Do this a few times as long as required. Oat is great at reducing inflammation and thus reduces pain and soothes your skin. This also makes it a popular ingredient in beauty treatments. It helps reduce irritation and itching. Mix a cup of oat in some water and stir the mixture well. Now soak the affected area for 20-30 minutes to help with soothing. Air-dry the area and repeat the process a few times a day to get relief. In case of first degree burns over large areas, you can even add the oat to your bath water. This might be a painful process, but the strong antibiotic properties of salt make it a really good and easily available ingredient at preventing infection. Simply wash the burnt area with cold water and apply some salt in it. 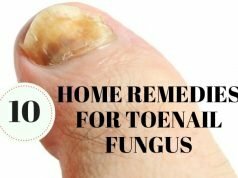 To make it a bit less drastic, you can add half a teaspoon of salt to 8 ounces of warm water and rinse the affected area with this solution every 2 hours to help in fast healing. Wheat is good at absorbing moisture, and by draining out the excess fluid, it helps in accelerating the healing. It acts as a natural band-aid and helps protect the burnt area from external irritants. Take some finely grounded wheat flour and spread it evenly on the affected area. Let it stick to the burnt area and repeat the process in case of thinning of the layer. Soak the burnt area in the alcohol or wine for around an hour or two, and that is enough to stop the irritation in minor burns and help soothe them. In case the area cannot be soaked in alcohol, use a cotton cloth piece capable of absorbing alcohol to cover the burn. Keep on pouring alcohol over it to prevent it from becoming dry. This is one of the most efficient methods of treating minor burns in fingers and burns and helps them heal very quickly. • Get a tetanus shot, just to be safe. • If the burn is on sensitive areas like eyes or groin, consult a doctor immediately irrespective of the degree of burn. • Rush to the doctor if the burn has become smelly, starts emitting pus, covers a wide area and/or you have got a fever. • Avoid friction and keep the wound protected from further injuries. • Don’t break the blisters. Let them dry or burst naturally. • Don’t use adhesive bandages. • Many people think butter to be an effective remedy. But there is no scientific evidence to support that. Also, butter retains heat and can be a breeding ground for bacteria. So do not apply butter on burn wounds. • Just like butter, oils like coconut oil, essential oils and cooking oil too retain a lot of heat. There is no evidence to show that these are good for burns and thus should be avoided. • Using uncooked white eggs is not a good idea because there is a risk of bacterial infection. Eggs can also cause allergy, thus aggravating the problem. • While it is widely believed that toothpaste is good for burns, there is no evidence to back up those claims. Since toothpaste is not sterile, it can favor bacterial growth. It can also cause irritation. • Not only does ice cause irritation, it can make things worse for you by causing cold burns. So do not use ice. Yes, burns are very painful and can be fatal at times. So, it is always a good idea to keep a cool head once you sustain them and proceed accordingly. First aid in case of burns is extremely important and can make all the difference. Yes, burns are very painful and can be fatal at times. So, it is always a good idea to keep a cool head once you sustain them and proceed accordingly. First aid in case of burns is extremely important and can make all the difference.